The 17th APRCE will gather retail entrepreneurs and experts in a three-day event in Manila. The biggest and so far longest-running event in the retail industry within the Asia Pacific region is all set for its Manila staging on Wednesday, October 28. The Manila edition of the Asia Pacific Retailers Convention and Exhibition (APRCE) will gather retailers and businessmen from around the world who are eyeing expansion into the region. This will be the second time the Philippines will host the much anticipated event, which is expected to entice over 2,500 local and foreign retailers as well as executives. The last time APRCE was held in the country was in 1993. According to Philippine Retailers Association (PRA) president Lorenzo C. Formoso, it took them two years to prepare for the event. He said that the upcoming APRCE will facilitate learning, networking, and fun. He emphasized that it will facilitate discovery and exploration of new approaches to issues that are being faced by the retailers in the region. “APRCE will also highlight innovative solutions that can help participants differentiate themselves from competitors so they can deliver greater value to consumers,” he added. During the event, there will be breakout sessions wherein all the 17 member-economies of the Federation of Asia Pacific Retailers Association (FAPRA) will present their respective country reports. To be expected are retail reports from the Philippines, Australia, China, China, Japan, South Korea, Singapore, Malaysia, Thailand, Hong Kong, and India, among others. Aside from those, up to 30 retail experts will share their insights on the latest trends and updates on the global retail as well as marketing industries during the entire duration of the event. According to Manila APRCE 2015 chairman Frederick Go, the countries will also present the strengths and opportunities in their respective markets to give international retailers ideas on what to expect as they consider investing into various cities within the region. “If you are looking to expand and need good market intelligence about Asia Pacific and the 17 member-economies, the APRCE is a must-attend event for you this year,” Go added. 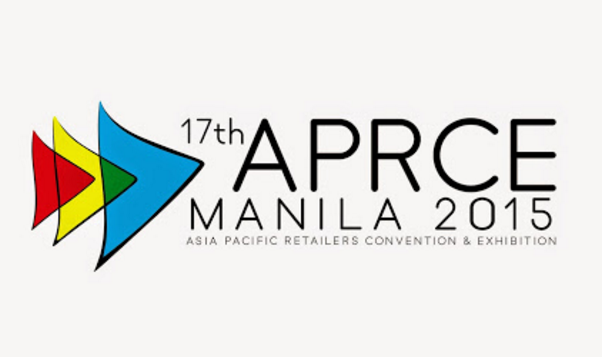 The 17th APRCE Manila 2015: Asia Pacific Retailers Convention and Exhibition will be held at the SMX Convention Center, Mall of Asia Complex, Pasay City from October 28 to October 30.